Your dog(s) will be picked up from your home and taken on a countryside walk in the heart of the South Downs, allowing your dog(s) freedom to explore, have fun, play and burn off some energy. Dog Vision’s main objective is to stimulate your dog(s) both physically and mentally with as much interaction as possible because insufficient exercise can lead to many behavioural issues such as chewing, digging, barking, anxiety and boredom. 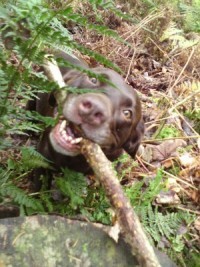 I will be happy to maintain any training you have been working on during all walks with your dog(s). Dog Vision offers group walking for dogs that can be walked in a carefully selected group – with my own dog or with another customer’s dog(s) which like each other’s company and socialising, have more fun walking and playing, chasing each other and meeting other dogs than they do on their own. It is important that dogs walked in a group must not show any signs of aggression towards humans or other dogs. A maximum of four dogs will be taken out at any one time. Individual solo dog walks are for dogs that require a walk on a one-to-one basis with no other dogs. Here your dog will receive my full attention: a good relationship can be built up and the time is specifically allocated to them. Dog Vision caters for all dog abilities and degrees of fitness: I offer shorter ½ hour walks if that suits better. Shorter walks are ideal for puppies stepping out into the big wide world and for older dogs who perhaps can no longer keep up with the pace of an hour-long walk. Being a responsible dog walker any dog(s) will be kept safe on a lead unless the owner has agreed off- lead walking and a disclaimer has been signed. 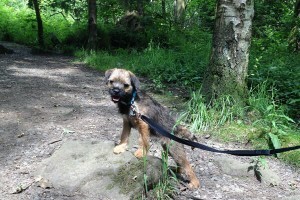 Where off lead is agreed I will walk your dog(s) on a long line or extension lead until I am fully satisfied that a good recall has been established. 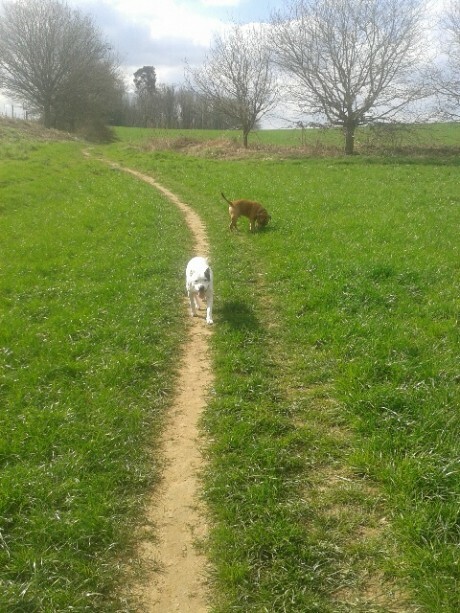 Dogs will be walked in all weathers unless extreme conditions prevent me from getting to you. It is standard practice for Dog Vision to return your dog(s) home, to clean muddy paws, to towel dry your dog(s) and replenish water bowls. Treats will be given on your instruction, and settle-down time will be allowed for after all walks.